Samsung is clearly bent on outdoing Apple and have announced a competitor to the Apple TV device, called the HomeSync. The HomeSync is an entertainment hub, which allows owners to stream their content such as Android games, music, videos wirelessly from their Galaxy devices to their TV. 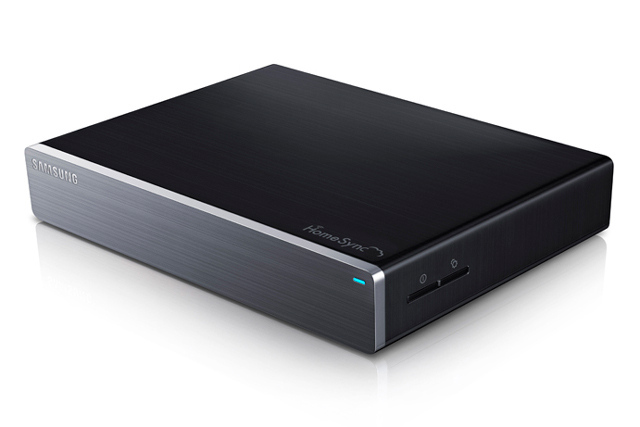 The HomeSync packs a 1TeraByte (1000GB) storage capacity, which provides ample space to store all your muisc, videos and pictures. The HomeSync allows up to 8 different user accounts which allows family members to save their files independent of each other with an option to encrypt the files.